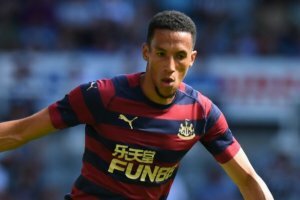 The Newcastle United Blog | » Rafa Has Selection Dilemma – Who Will Miss Out In Midfield? Local lad Sean Longstaff has started Newcastle’s last seven games, and he’s likely to start again on Monday night at Wolves even though experienced South Koren International Ki Sung-yueng is now fit. Ki returned from the Asian Cup with a hamstring problem, but that’s now cleared up. And Jonjo Shelvey is itching to play again, but Rafa is holding him back to ensure that troublesome thigh injury of his has finally healed. But Rafa admitted he will have tough selection problems now that all but Shelvey and Elliot are available for the Monday night game. Sean has been a fabulous find this season for the club, and he immediately impressed in preseason training. Playing lately against the two Manchester clubs, Chelsea, Liverpool, and Tottenham he held his own at the very least and looked impressive. Like any good player he hardly ever gives the ball away and seems to have lots of time on the ball. He’s an excellent prospect who may just be able to keep his place through the rest of this season, even with Ki and Shelvey fit. We will be putting out our predicted team for the Wolves hame soon but at the moment are thinking that Sean Longstaff could start alongside Mo Diame in midfield. That would put Isaac Hayden on the bench, and by his own admission, he has no future on Tyneside. So with Longstaff, Diame, Ki and Shelvey (eventually) fighting for the starting central midfield positions – Hayden may be the one left out. We should quickly add the lad’s been great for us over the last couple of months – and very professional in his outlook in what must be a difficult personal situation for him. We just wish he would stay with us. I realise it’s way past the curfew for music related posts but as it’s not a match day … You mentioned CSN “Our House” late last night /earlier this morning not sure if you realised that it was written by Nash about his Laurel Canyon home with the Joni Mitchell i.e. Joanie you referred to. Ian wright on true Geordie . Never judge a book is all I can say . Tells of Jennas being owned by Alan on MOTD too and rio comes in for some stick . Comes across as a very humble guy who is true to his roots . Mmmm, I thought I’d mentioned Joni M and Laurel Canyon as Graham Nash’s intro to and context Our House. I must be cracking up! I heard about the Ernst and Young work on NUFC’s contribution to the economy etc, some time back and yes, it’s been done to let the world know just how valuable the club is to the city and its environment. Doesn’t it show the club and therfore Ashley as being sooo altruistic when he’s had so much criticism.